← New Class Added: Get Your Socks On! 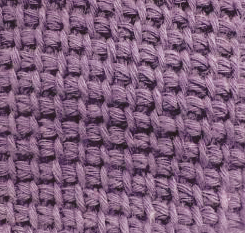 Tunisian crochet is a needlework technique that borrows elements from both knitting and crochet, creating sort of a fusion of the two techniques. It’s sometimes referred to as afghan crochet, afghan stitch, tricot crochet, crochet knit, tunis crochet, or shepherd’s knitting (although other techniques are also sometimes called shepherd’s knitting). There are pros and cons to Tunisian crochet vs. knitting; J.D. Wolfe offers some thoughts about the subject, and a selection of book ideas. This entry was posted in classes, Kingston Springs, techniques, yarn and tagged classes, crochet, Ewe and Company, Kingston Springs, knitting technique, Tunisian crochet, yarn shop. Bookmark the permalink. Nelda, thanks for pointing out the link problem. The one on the most recent post should be working for you.